This is the best dessert to kick off the autumn. It’s a classic for a reason and couldn’t be easier to make. If you like, you can prep the whole thing up to 2 days in advance and then bake it on the day and feel free to add in some flaked almonds or seeds if you feel like it. Peel the apples and chop them into wedges. Add them to a saucepan on medium heat with a tablespoon of coconut sugar, the cinnamon and 3 tablespoons of water. Stir and pop the lid on, letting it steam for about 5 minutes. 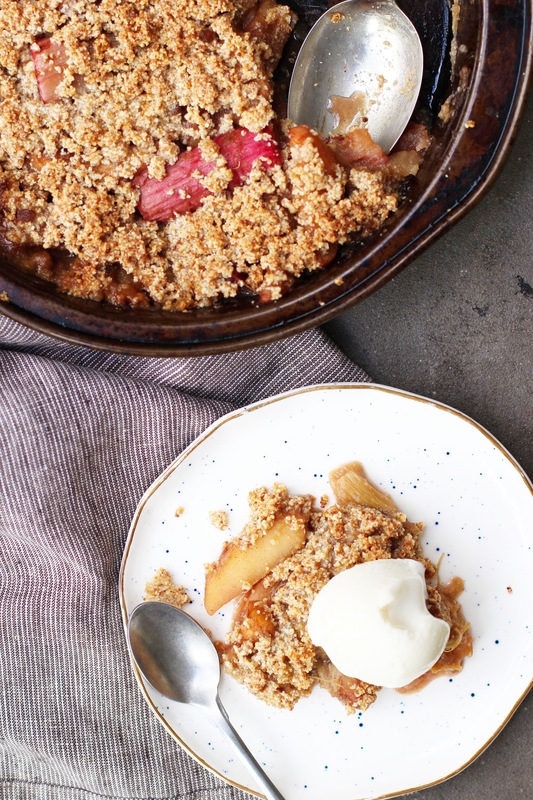 Chop the rhubarb into chunks and add it to the saucepan. Toss well and return the lid. Let it steam for about another 10 minutes, stirring a few times, until the fruit is tender. 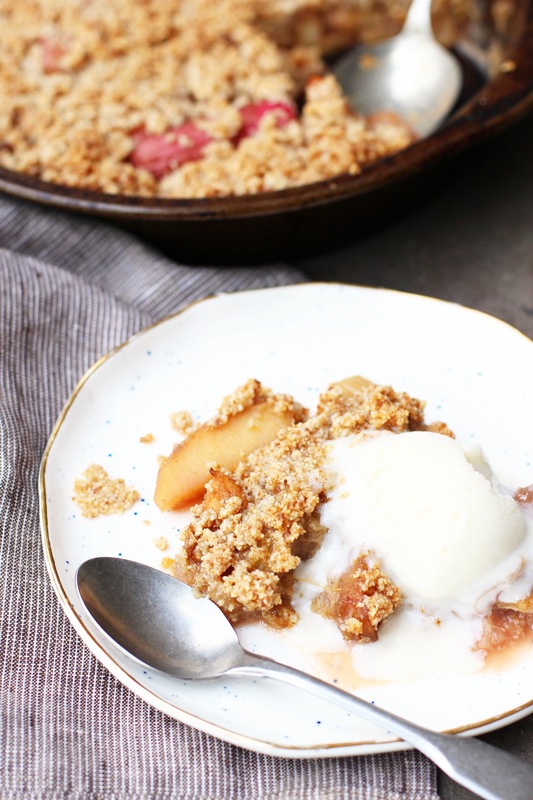 For the crumble, add all of the ingredients to your food processor and pulse until grainy. Spoon the fruit into your dish. Use your hands to crumble the almond mixture evenly over the top. Bake for about 25 minutes until golden. Serve warm with your favourite dairy free ice cream. Hi Indy, this is one I’ll be trying out today for sure. Just wondering if you have any good Christmas cake recipe ideas for a paleo eater? Hello, do you think oats would work ok for the crumble too? I can’t eat almonds. Thanks so much!